Venislava Mitrova is a financial services risk professional with more than 15 years of experience in banking and non-banking financial institutions, in both local and international companies. 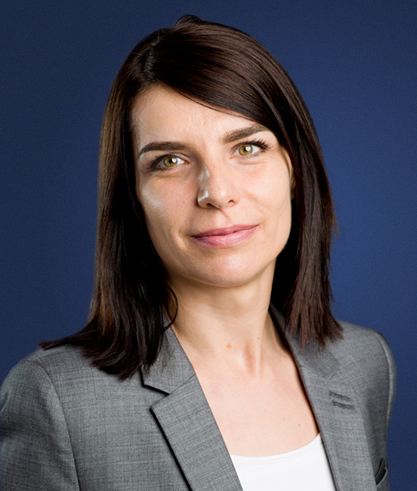 Prior to joining Empower Capital in June 2017, Venislava was part of founding team of JetFinance International, the largest independent consumer finance lender in SEE, where she held the position of Chief Risk Officer. After JetFinance was sold to BNP Paribas Personal Finance in July 2007, Venislava continued her career as part of the Credit Risk Division in the headquarters of BNP Paribas Personal Finance, Paris, France. During her expatriation years, Venislava developed international expertise, working on projects in Central and Eastern Europe, Russia, Mexico, Brazil and Argentina. Venislava holds a Global Executive MBA from IESE, University of Navarra. Venislava is fluent in Bulgarian, English and French, conversational in Russian and Italian. Projects and responsibilities: As an Associate in Empower Capital, Venislava is engaged with conducting operational and financial due diligence, while actively participating in the development and operational implementation of business strategy in investees.